A question one must consider when thinking about ancient art is what is ownership? Does ownership have to do with the land that something was found on or the person who found it? Art historians have been debating for centuries whether or not it is right to take ancients artifacts from their original land and place them in a foreign gallery space, and both sides make some pretty valid points. Some historians, like Chaille Long, believe that the culture in which a piece of art is made for belongs to that land—i.e. ancient Roman art should remain in Italy and ancient Egyptian art should remain in Egypt. The other side, including historians like James Cuno, argues the benefits of putting ancient art in a museum like the Metropolitan Museum of Art in New York or the Louve in Paris—educational reasons, safety, preservation, etc. Which side is right? And who are we to judge? In Chaille Long’s article Bring Back the Obelisk! 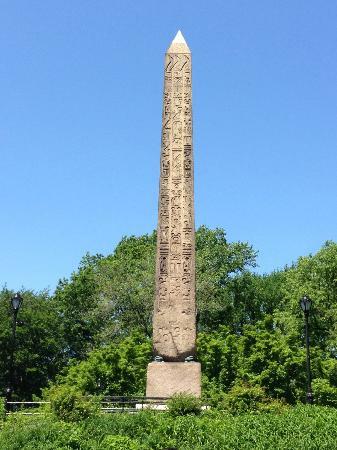 he writes about Cleopatra’s Needle, an ancient Egyptian obelisk that was taken from it’s home land and placed in Central Park in New York City over a century ago. He writes extreme passion, emphasizing his dismay of the United States ripping the statue away from its true home. He says of it, “Cleopatra’s Needle upon our shores can never be other than a reproach. It was rudely torn from its base as the inspiration of some private and vulgar enterprise as yet concealed. It is not a gift to the nation, though the Department of State has permitted its consular agent to act in a semi-official capacity in its acceptance (Long 411).” As Americans, this statue does not belong to us. Since its plantation on American soil it has been neglected and is starting to rot. It deserves to be where it belongs. There are certain benefits in removing an ancient piece of art from its original home and into an encyclopedic museum. For example, in James Cuno’s article The Case Against Repatriating Museum Artifacts, he argues that, “museums encourage curiosity and promote a cosmopolitan worldview (Cuno 22).” Seeing art from many different cultures all right next to each other is an educational experience that you cannot find outside of the museum. Like Long who fell in love with Cleopatra’s Needle and wrote so passionately about how it needed to return to its homeland, Cuno describes his infatuation with a certain alabaster bust from the ancient Near East that he found in the Louve. Had it stayed in Iran there is a good chance that it would be destroyed—either by the human hand or natural forces. If the Museum had not preserved it, then it would be lost to us and the writer would not have fallen in love with ancient art in quite the same way. It is important to understand the history in which an artifact came from. As art historians, we should consider culture, understand religious values, and preserve it as much as we possibly can. Although Long presents a valid argument about keeping an ancient artifact in the land in which it belongs to, we also need to consider how much protection it is getting by staying in a museum space. Places like the Louve in Paris, the British Museum in London, and the Metropolitan Museum of Art in New York work tirelessly to protect and preserve each precious piece of art that comes through their doors. The question of ownership is a hard one to answer, but there is one thing we know—we must work to protect this artwork.